Image Stitching Services – Creating 360-Degree Panorama for Architectural Photography – Image Editing Services to UK, USA, Norway, Canada, New Zealand, Poland Etc. 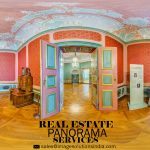 Image Stitching Services for Real Estate, Architectural, Aerial and Vacation Rental Photos – Real estate image stitching is a photo art of merging multiple images into a single perfect photography. 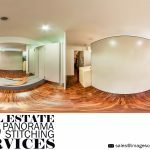 Real estate image stitching requires intense scrutiny of image enhancement technique and clear-cut knowledge about Image stitching services. Image stitching has and vital role in restoring damaged images, old, washed-out image, torn photos, and scratched photographs can be effectively restored to their original elegance. With real estate image stitching services, you can effectively promote your real estate property. Architectural photography is more than just cropping a wide image. These architectural photos are high-resolution images of combining several photographs. 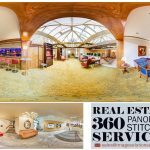 Creating 360-degree panorama for architectural photography requires high-level artistry. Post processing specialization involves multiple decisions concerning control points from one panel to the next panel. 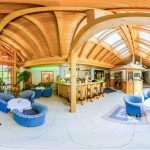 Our skilled professionals can flawlessly stitch 360-degree panorama for architectural photography such as building, landscapes or interiors. Stitching image sin Photoshop is a complicated technique which involves calibrating the images, warping the photo for perfect alignment, blending the photographs, etc. 3D panorama is a modern photo editing tool which is one step ahead when compared to the original photograph. 3D panorama has the observation of angles 360 degrees and 180 degrees. Our experienced graphic designers elegantly design 360-degree 3D panorama, 3D animation and virtual tours confer to modern business trend in accordance with the client requirements. 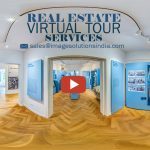 We equip virtual tour services for wide range of industries involving retail, architecture, automotive, entertainment and much more industries. We understand that real estate images decade longtime exposure for business. We outsource real estate panoramic image stitching services with worthwhile and admirable quality photographs. Real estate panorama stitching shows the wide angle view to the customers and with complete information in the picture about the property.